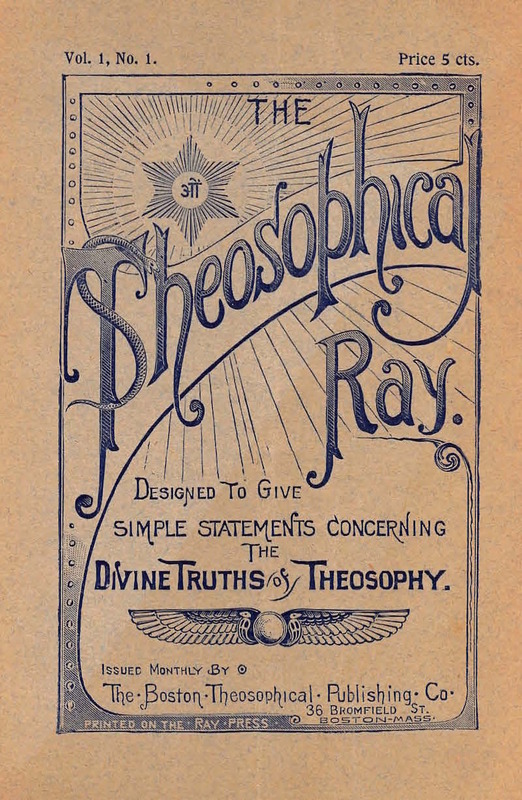 Designed to give Simple Statements Concerning the Divine Truths of Theosophy. Boston, MA. Publisher: Boston Theosophical Publishing Company. Editor: W.W. Harmon. 1/1, October 1892-July 1893. 16 pp., 50 cents a year. The journal explicitly rejected the notion that it formally spoke for the Theosophical Society and seems to have been intended as a notice for TS meetings in and around Boston and as propaganda to spread word of the society. Mentioned in the Path and in Lucifer, December 1893, as distributed gratis, so perhaps the journal lasted until then. Harmon was also the printer of Dom Pernety's Treatise on the Great Art, edited by Edouard Blitz and published by the Occult Publishing Company of Boston in 1898.